Appearing as the fourth of five bag releases by the US Mint in 2019 to contain strikes of the America the Beautiful Quarters™ Program will be the 2019 San Antonio Missions America the Beautiful Quarter Bags. Coins in the bag will have reverse designs that represent the San Antonio Missions National Historical Park. That park was established on April 1, 1983 to preserve four of the five Spanish frontier missions found currently within present day San Antonio, but originally built centuries ago. The protected missions include Mission Concepcion, Mission San Jose, Mission San Juan, and Mission Espada. The fifth mission, known as the famous Alamo, is owned by the state of Texas. The Mint will place 100 circulation quality quarters in each bag with those quarters struck at either the US Mint’s facility in Philadelphia or the US Mint’s facility in Denver. Buyers will have the choice of which facility they would like their strikes to be from. The San Antonio Missions Quarter represents the forty-ninth release of the program which debuted in 2010. 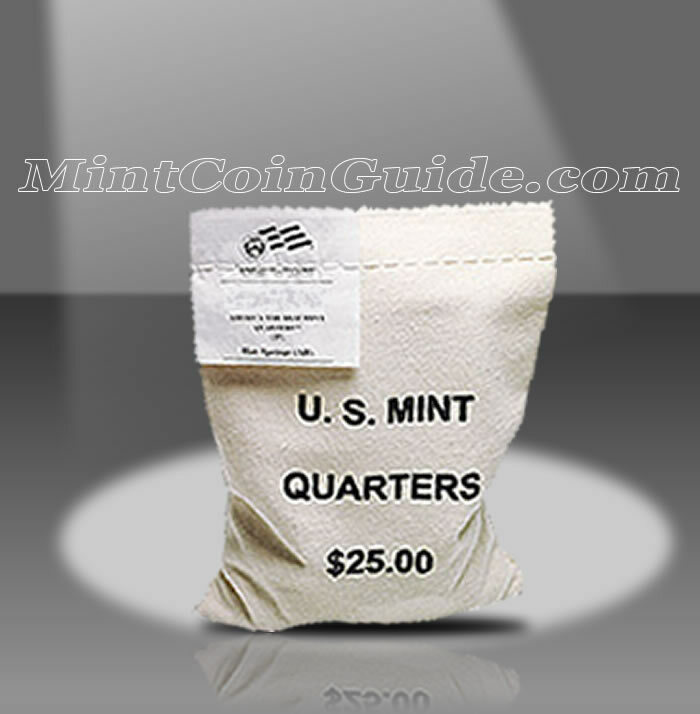 "U.S. MINT QUARTERS $25.00" is imprinted on each bag with a special label sewn onto it showing the specific strikes of San Antonio Missions Quarters as well as which minting facility produced them. The state of Texas is represented by the San Antonio Missions Quarters. Texas was admitted to the Union on December 29, 1845, the 28th state to do so. 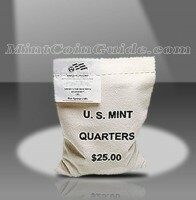 The US Mint has not announced a release date for the San Antonio Quarter Bags. The US Mint has not announced an issue price for bags of the San Antonio Quarters. Each bag will contain 100 circulation quality quarters from either the US Mint’s facility in Philadelphia or the US Mint’s facility in Denver. Buyers will have the choice of which facility they would like their strikes to be from. The obverse (heads side) of all America the Beautiful coins contain a portrait of George Washington, the first President of the United States. That design was completed by John Flanagan and was used originally on the 1932 circulating quarter dollar. The reverse (tails side) of the quarter will showcase a portion of the San Antonio Missions National Historical Park.